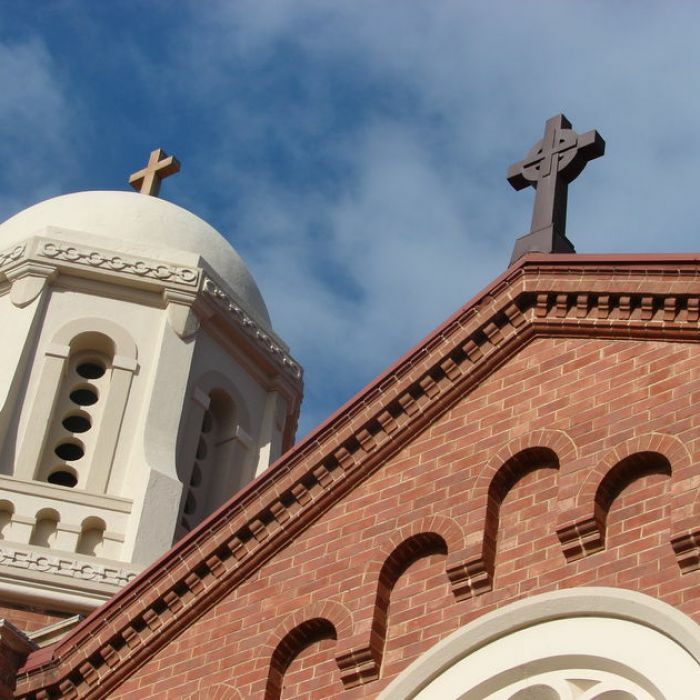 Understanding the terminology used by the church, how its factions work, and the processes they have in place will help you make sense of Cardinal George Pell’s testimony to the child abuse royal commission this week. 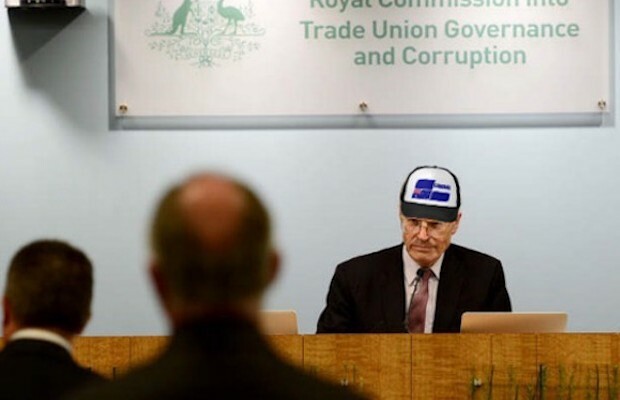 Royal Commissioner Dyson Heydon has apologised for wearing a Liberal Party cap to the Royal Commission into Union corruption this morning, saying he ‘didn’t realise’ the cap had the Liberal Party logo emblazoned on its front. “I overlooked the connection between the logo on the cap and the Liberal Party of Australia,” Mr Heydon said in a statement today. Liberal Party MPs, including Attorney General George Brandis, have come out in support of Mr Heydon, saying there is no suggestion of bias. “It is just a hat. He took it off as soon as he was made aware of it; that should be the end of it,” Mr Brandis said. While there is mounting pressure on the Commissioner to resign, Prime Minister Tony Abbott has advised Mr Heydon to let the shitstorm grow for another two or three weeks before finally standing down. You’re invited to our nefarious party fundraiser. Dress code: raccoon Who has time to read invitations or diaries these days with all the royal commissions and important speeches taking up our time? 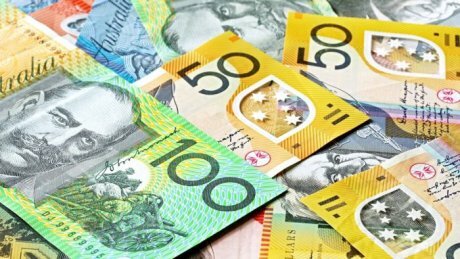 Royal Commission into tax evasion a must – The Drum (Australian Broadcasting Corporation). If a government is really proud of an “achievement”, it’s generally not announced without the prime minister, a week before Christmas. So the release of the royal commission into trade union governance and corruption’s interim report without Tony Abbott, on 19 December, indicates it didn’t pack quite the punch the government had hoped for. The report leaves much of the heavy lifting to 2015, when the royal commission will conclude. 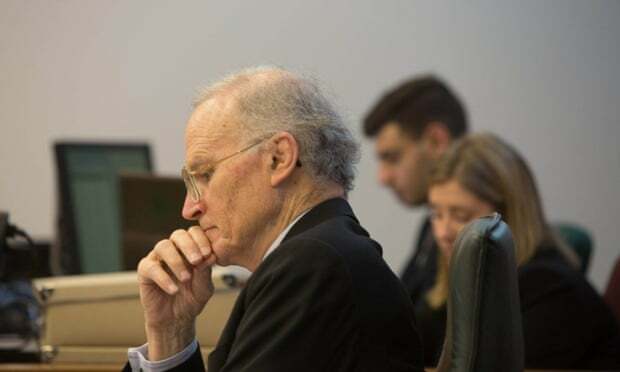 Commissioner Dyson Heydon has recommended the interim report be referred to prosecutors to consider whether former Australian Workers’ Union officials Bruce Wilson and Ralph Blewitt should be charged with criminal offences, over the workplace reform association slush fund. Police were already investigating the matter. He recommended prosecutors consider criminal charges against Construction Forestry Mining and Energy Union (CFMEU) officials. 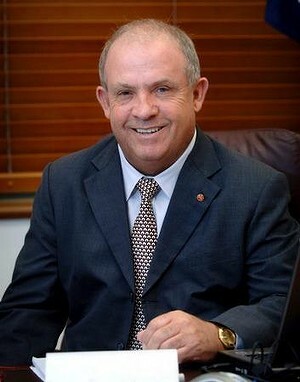 Among them were Victorian secretary John Setka, for alleged blackmail in the Boral “black ban”, and Queensland secretary Michael Ravbar for alleged threats and extortion against Smithbridge Group to force its companies to sign union enterprise agreements. The Boral matter was already before the courts, although the royal commission has uncovered evidence that led the ACCC to start a secondary boycott case against the CFMEU. Heydon also recommended charges and prosecution be considered against Health Services Union (HSU) Vic No1 branch secretary Diana Asmar and five organisers, for allegedly making false statements about the completion of “right-of-entry” tests, and the general manager Kimberley Kitching for allegedly aiding and abetting them. The Fair Work Commission was already investigating the alleged cheating on the tests. 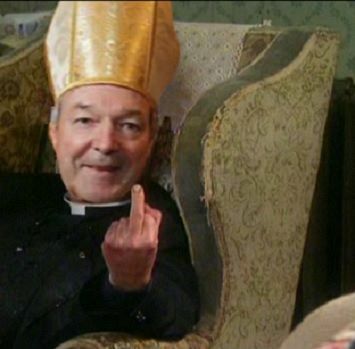 So, some accused unionists might be in trouble. But authorities were already on most of these cases. 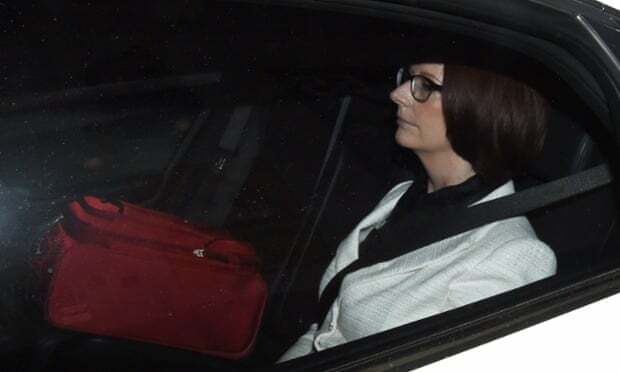 The commission also made no findings of wrongdoing or recommendations for possible charges against Julia Gillard. And there are so many matters the royal commission has put off until 2015. 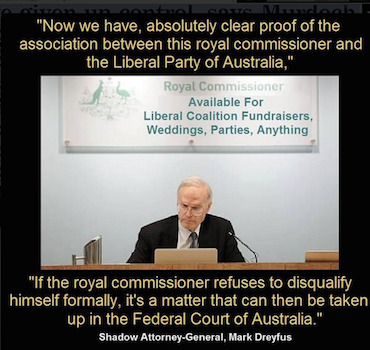 It is far too early to claim the royal commission is “vindicated”, as Abetz said on Friday. And it’s simply not good enough for the minister to analyse its impact by simply acknowledging the size of its whopping 1,800-page interim report. Heydon has delayed all action against HSU national secretary Kathy Jackson despite recommendation from Jeremy Stoljar SC. He also found that CFMEU NSW secretary Brian Parker gave false evidence and covertly procured member contact information from Cbus as part of an industrial campaign against Lis-Con. Again, contrary to Stoljar’s recommendations, he did not make a finding that Parker had committed perjury. More evidence may be called in 2015. The interim report caps off what has been a stagnant year for the federal government in terms of industrial relations achievements. Before the 2013 election Abbott promised a light touch on IR in his first term if elected. He said he’d introduce a Registered Organisation Commission to oversee increased disclosure requirements and penalties for employer and employee associations’ breaches of law. And he would reintroduce the Australian Building and Construction Commission, which would have powers to clamp down on unlawful pickets and coerce testimony from unwilling witnesses. Bills to implement those changes are yet to be voted on in the Senate, despite sitting there all year. In 2013, Abbott and Abetz laid the groundwork for larger IR changes to come, promising a Productivity Commission review of the fair work laws and to consider adding an appeals panel to the Fair Work Commission (FWC).That Productivity Commission review was also announced on December 19. Its terms of reference are wide-ranging but identical to a draft set leaked in March. The commission has been ready, willing and able to start the review for most of the year, and business groups were encouraging the review to start as soon as possible. In these circumstances, the fact it waited most of the year tends to suggest this was another piece of business the government was keen to announce quietly just before Christmas. The proposed appeals panel could help put the government’s stamp on IR if its appointees are conservative. Depending how it is set up, the panel could consider and determine a wide range of matters, from unfair dismissal rulings to minimum wage changes. But the government has barely mentioned the proposed panel since a secretive consultation process ended in early 2014. It seems as if the government’s unpopular 2014 budget is a giant bonfire of political capital, destroying its ability to implement changes in other areas of policy like IR. If the government’s stocks recover enough to advocate a major, unpopular reform at the 2016 election, it’s far more likely to be a GST increase or something that helps the budget bottom line. 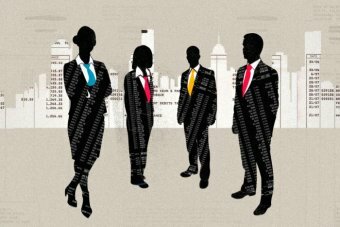 It’s unlikely to be a cut to penalty rates, unfair dismissal laws or reintroduction of individual statutory contracts, which the business community so desperately wants but would galvanise the union movement in a repeat of the Your Rights at Work campaign. All this is why the royal commission’s second year is so important for the government. If it uncovers serious corruption – or at least lands punches to finish fights it’s started this year – it could smooth the way for new and revived commissions to make life difficult for unions. The electorate would be softened up for a “swing of the pendulum” away from workers’ rights. If the commission’s second year is more of the same, it may be judged a failure, having done little more than picking over old cases of alleged wrongdoing already working their way through the system. Abbott has been keen to trumpet what he says was a year of achievement, but he’s not mentioned any IR policies. It’s more than one year down, and his government’s biggest IR achievement to date is a royal commission that is to be continued. Julia Gillard calls for apology from Coalition members after royal commission findings | Australia news | The Guardian. The Royal Commission declared no case was to be found against Gillard yet saw fit to disparage her anyway. The Commission made no such remarks against the coalitions chief witness Kathy Jackson who has charges to answer. It seems the Commissions political bias is self evident. Does anybody imagine an apology will be forthcoming?